Ricky Gervais is all set to host the Golden Globes on Sunday night, and the fact that he is making the promotional rounds in talk shows and on television is proof positive that he’s ready. 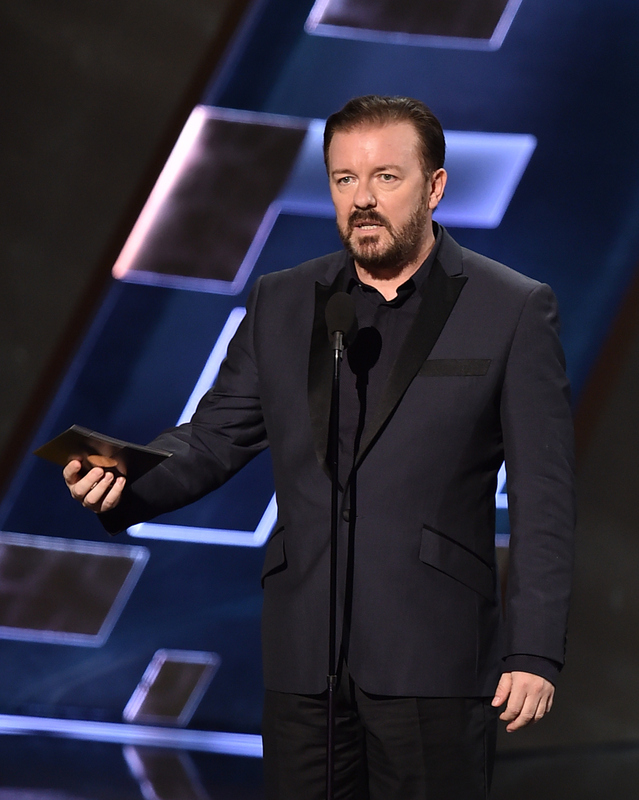 But here’s the thing I can’t help but keep wondering: Is this Ricky Gervais’ final time hosting the Golden Globes? After all, when Gervais hosted the award show back in 2012, he vowed to never host another ceremony. Clearly, though, Gervais changed his mind — because it was announced in 2015 that Gervais would be hosting the 2016 Golden Globes. So, what brought the star back? And will it be enough to keep him coming back to host future ceremonies? According to Gervais himself when he spoke with Ellen DeGeneres about hosting again for the fourth time, he only agreed to come back to this hosting gig because the Hollywood Foreign Press agreed to let him say what he wanted to during the show. It’s a bold move by the HFPA, especially considering the outcry following the 2012 ceremony due to his jokes of a more... controversial nature — but it could also be a brilliant one. Gervais hosting the Golden Globes, if anything, will get viewers — you better believe tons of people will tune in just to see how far he'll go. Still, no matter the reason why Gervais was asked back, it’s clear that he agreed to host the 2016 Golden Globes because he was given full reign to say whatever he wants. So, while we don’t know for sure just yet whether Gervais will return for a fifth round of hosting the Golden Globes, it seems likely to me that, if they let him have his way with the script and with the jokes, he might just come back for another go at it. But whether or not the Hollywood Foreign Press would ask him back is a whole other question. We’ll all just have to wait and see what happens Sunday, Jan. 10, when the Golden Globes air on NBC.